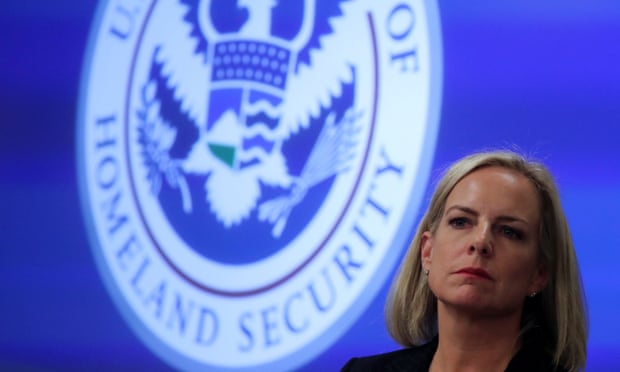 Ronald Newman, political director of the American Civil Liberties Union, charged Nielsen with allowing DHS to act as the “key cog in Trump’s unconstitutional and anti-immigrant agenda of fear”. He accused her of overseeing “gross civil rights and civil liberties violations that will go down as among the worst failures in Trump’s chaotic presidency”. It emerged on Saturday that the Trump administration has predicted it could take two years to identify all families affected by the separations policy. Nielsen famously and repeatedly claimed no such policy existed.